Cheri is an ardent Rotarian and member of the Baton Rouge-Capital City Rotary Club. Her almost single handed perseverance and her commitment to the ideals of Rotary have helped purchase the patient transport van that replaced the original after it became unroadworthy. Her contributions to the Rotary Donor Advised Fund for the clinic property purchase provided the funds necessary to complete the purchase. She continues to spearhead and champion the fundraising for making the clinic in Maphiveni a reality. All this for people she'll never meet or receive a thank you, but for whom her heart breaks. Hear more about her here: YourMarkOnTheWorld.. This fund through the Rotary Foundation raises support for the vision of a sustainable local clinic and community center to serve the impoverished communities services by CHIPS in Eswatini. PEPFAR/USAID funded CHIPS from 2013-2015 and PEPFAR/CDC is currently funding CHIPS (2016-2018). US Government funding has helped ensure that the impoverished population in the eastern Lubombo Region of Swaziland has been able to access health care, and specifically HIV care consistently for the past number of years. Divinity Lutheran Church in Towson, Maryland has been instrumental in providing the funds for major capital expenditures and operation shortfalls. The two mobile clinics we use on a daily basis is in a large part available because of the generosity of this church. 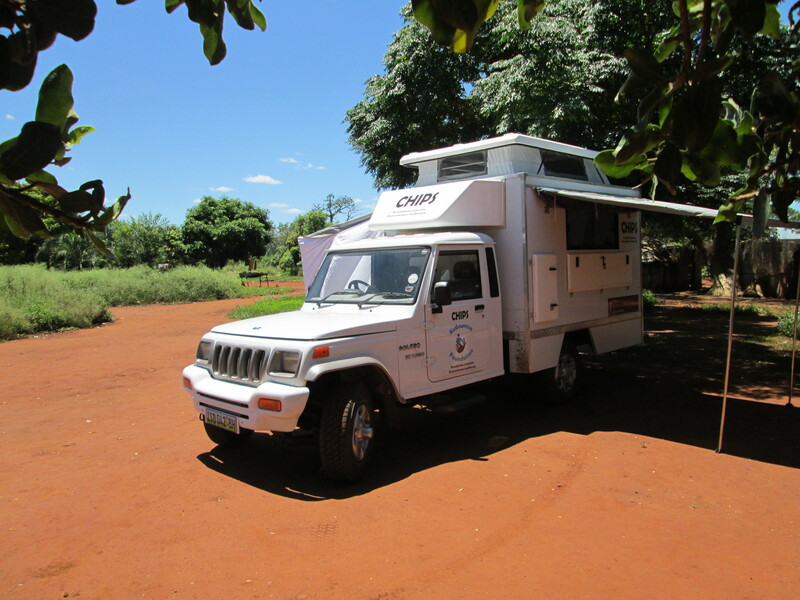 Our bakie (small pick up) used for staff and supplies transport is also here because of their generosity. The Rotary Club of Mbabane has partnered for two Global Grants to benefit the communities that Kudvumisa serves. The first Global Grant bought a new patient transport vehicle to replace the original van. The second Global grant is for the renovation of a building in Maphiveni for a clinic to serve this rural and isolated part of the country.